The 2017 Lincoln MKX near Pascagoula, MS is a key part of Ford Motors’ strategic plan. The carmaker announced some time ago that it plans to increase the volume and output of its luxury vehicles, with numbers projected to peak in 2020. 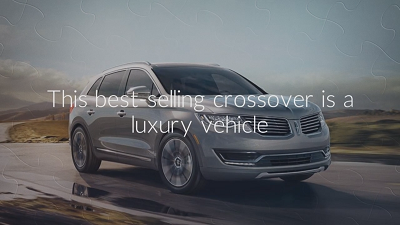 In line with this, they improved the make and design of the MKX to position it as a luxury vehicle, a segment that the crossover seeks to corner in the years to come. Posted on January 7, 2017, in Business and tagged 2017, lincoln, mkx, modern, pascagoula. Bookmark the permalink. Leave a comment.